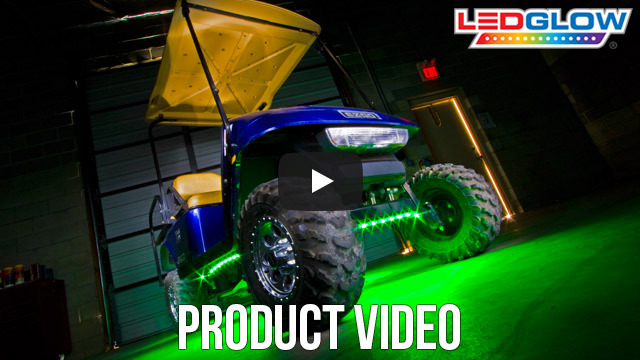 LEDGlow’s Green LED Golf Cart Underbody Light Kit creates a unique green underglow to any golf cart using (4) 24” flexible tubes, a control box and wireless remote! 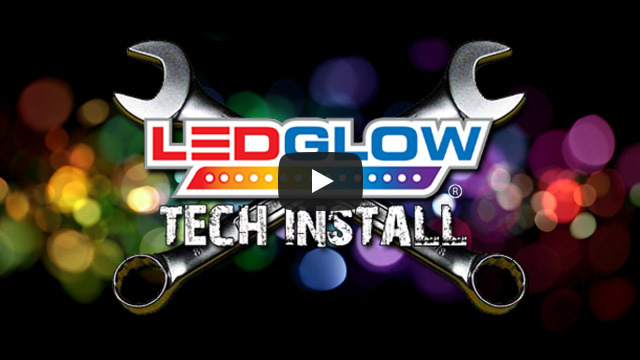 LEDGlow's Green Golf Cart Underglow Kit features 84 SMD LEDs housed in (4) 24” tubes that are installed to the undercarriage of any golf cart. The all new wireless remote allows you to select from a collection of modes that include solid color illumination, 3 fade modes, 3 strobe modes and a sound activated mode that reacts to the music playing from your golf cart using the built-in microphone. The wireless remote features an operating range of 50’ giving you more than enough area to control your kit while on the green or campground. My golf cart looks awesome. Install was very straightforward. Support is spot on. I did wire this to one of the rocker switches on my panel that controls lights, LED, and fan. Unfortunately, when I power on the rocker switch, I still need the remote for the lights to come on. It would be awesome if the lights would come on using the last mode selected when I hit the rocker switch. I would even be OK with just full on or off without all of the dimming and flashing.